The most interesting part of their journey is that both Jan Koum and Brian Acton applied for a job in Facebook and were rejected in 2009. It has indeed one of the biggest adventures in the tech world and a befitting reply to Facebook. Life has come a full circle for this duo with this billion dollar acquisition. With Facebook acquiring WhatsApp, its co-founders - Jan Koum and Brian Acton - have become billionaires and stars of technology world. It has been an incredible journey for Jan Koum who lived on food stamps as a teenager. Koum has 45 per cent stake in the company, while Acton’s stake is 20 per cent, making them worth a whopping $6.8 billion and $3 billion respectively, according to Forbes. 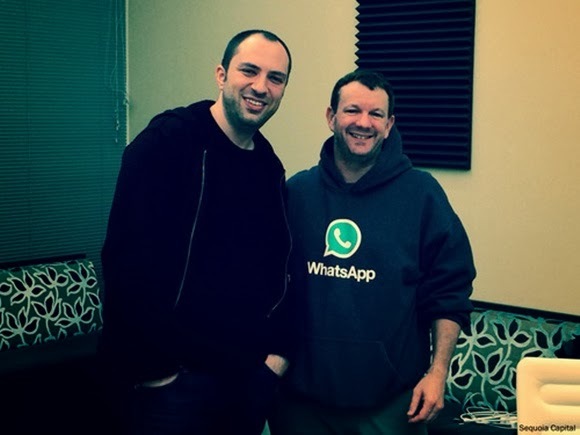 Jan Koum who dislikes any kind of publicity, has even refused to put up a sign board outside their WhatsApp office. “WhatsApp is on a path to connect 1 billion people. The services that reach that milestone are all incredibly valuable,” Facebook CEO Mark Zuckerberg said in a statement. Copyright © 2014 Search Engine Land Blog • All Rights Reserved.